Last summer I had the privilege of attending the Your City Your Idea (YCYI) event hosted by YKNOT Windsor-Essex at the Windsor Star Cafe. The goal of this event was to bring together young people in the Windsor-Essex area and determine what their priorities are for the region. What resulted was 70 millennial’s brainstorming what they wanted from the Windsor-Essex region. After some tabulation YKNOT posted the results of the YCYI event outlining 15 priorities for the young people of Windsor-Essex. 1) Is the priority achievable within a local context or is outside help needed? 2) Is the priority shared beyond the “youth” of Windsor Essex? 3) and my personal preferences. These “rankings” aren’t an attempt to say which will be the most successful and I certainly don’t have an answer to all of the issues that the young people identify. What I do hope is this restarts a much need discussion and revitalize some issues in our region. Personally, I don’t have an opinion on this priority but a major challenge comes from simply defining what is meant by “International Healthcare Hub”? Do young people want more cooperation between hospitals on both sides of the border; do they want cross border treatment options; or is this priority just a backdoor discussion for more healthcare jobs in the region or all of the above? The region already features a unique agreement allowing for the passage of Cardiac patients from Windsor to Detroit for treatment. Although additional cooperation on the movement of patents across the border has been called for by Windsor Regional Hospital CEO the region is hardly without cooperation. Further integration of the region’s healthcare networks is largely dependent on support from Provincial/State and Federal regulators on both sides of the border. The Hackforge Hacking Health project spearheaded by WE-TECH Alliance is a great examples of what local initiatives can do but it is just a first step. The biggest challenge that we face is just navigating the plethora of regulations and For example, to conduct cross-border clinical trials would require the trials to meet both Health Canada and FDA regulatory requirements. Questions of how funding would be distributed and managed? Questions of how patients would navigate the two different styles of healthcare systems (single player vs. quasi-free market insurance) play into the cooperation? Yes some of these questions have been asked and local leaders can agree on various initiatives but if higher levels of government are unwilling to support broader cross border integration forward progress is likely to be slow and uneven. Who do you think most people would rather see play? The challenge of cross-promotions of events and sharing of resources between Windsor and Detroit is that the relationship is not an equal one. Picture it this way, if the border wasn’t here, Windsor would be a suburb of Detroit just like Dearborn, Royal Oak or Pontiac. To expect Windsor to be able to attract people from Detroit on an even playing field as Detroit is foolish. It isn’t the Aurburn Hills Pistons or Grosse-Ile Grand Prix they are branded Detroit. The border places a clear line between us and despite how close our two countries are, we will also be apart and Windsor will always be at a disadvantage. Windsor cannot attract what Detroit can and it isn’t in the interest of Detroiters to promote Windsor activities when there are many similar activities in Detroit or the surrounding suburbs. Yes there will always be small organizations or groups willing to work across the border but economies of scale general don’t allow for large scale cross border support. To make matters worse, Detroit unfortunately has its own problems and its own reputation that it is trying to rebuild which makes supporting Windsor events secondary to dealing with their own local challenges. This issue is compounded by the fact that Windsor rarely gets play in the Detroit media which means that we don’t get the free coverage of our festivals and events to spread the word about the great things happening in Windsor. Frankly, few Detroiters are going to come and see a Spitfires game when the Red Wings are playing nor would many want to watch Lancer football over MSU or Michigan? Size matters and Detroit is bigger than Windsor, as a result to expect Detroit to be willing to share/plan/support events with Windsor is not realistic on our end. This doesn’t mean that all is lost for Windsor, what it means is that we have the be targeted in our cross border promotion, plan our events around what is going on in Detroit and be explicit in what is in it for them by supporting us. 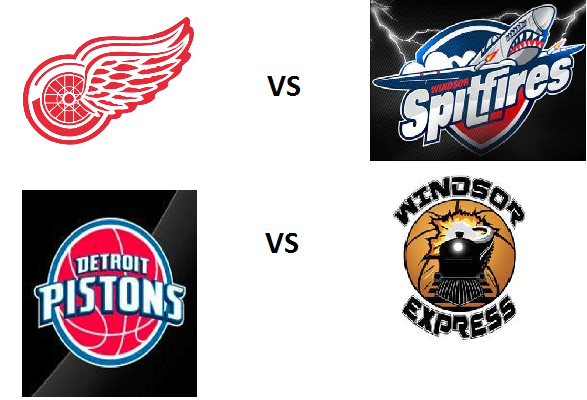 Windsor can attract its own events but we will never be able to get Eminem to sell out the WFCU Centre or Caesars; so our best hope is taking advantage of person to person, organizational networks and attracting unique events that don’t go to Detroit. An ideal solution to this dilemma would be if the space was incorporated right into the University or Collage. As students get close to graduation those individuals with similar entrepreneurial or social minded ideals could gather and exchange ideas. To a degree this is occurring with the EPIC Centre on U Windsor’s Campus. For a more formalized environment, you could make an argument that the Downtown Business Accelerator provides an equivalent for entrepreneurs who have begun to starting up their businesses and WE-Tech Alliance does the same for tech ventures. Beyond the academic settings and existing organizations, what are needed for this priority are three things: space, programming, and a launch pad goal. Space is not a problem; Windsor is littered with offices that are for lease that converted into a Co-Working area. The primary challenge comes from developing effective programming to secure the funding. Simply put, the programming is needed convince the potential sponsors that such an initiative is worthwhile. A co-working space for young people could easily be construed as a laidback hangout space for dreamers to chill and talk about their ideas while not doing much else. Maybe that is what young people want but if the space lacks a perceived structure and function it will be tough to get funded. Finally the space needs to be able to effectively launch those individuals who come up with a viable idea into the wider world. To a degree the Downtown Business Accelerator already does this, so the question is how will this Co-Working Space be different? Frankly I am not sure. Mentorship programs are a vital learning tool for recent graduates and there already several options within the community. The Windsor-Essex Small Business Centre offers mentorship opportunities for entrepreneurs as they start their business, as does the Downtown Businesses Accelerator. The University of Windsor offers CEL Mentorship Program to recent grads and students looking for summer employment. For younger youths, Big Brothers Big Sisters has long been a source of mentorship opportunities for young people, particularly those from disadvantaged backgrounds. What this cursory overview tells me is that there are mentor programs available; they just are not well known or openly accessible by young people or recent grads. The biggest issue for starting a new mentorship programs are of course finding the mentors. There are plenty of professionals who are willing to donate their time to good causes the problem is that they only have so much free time. After all mentorship is not a one off event, to effectively mentor youths or recent grads could take weeks, months or even years of interaction. Depending on the field the University of Windsor and St. Clair are graduating hundreds of students per year, so the questions becomes how do we match all of these potential young people with effective mentors. Yes those nearing or having just retired make perfect mentors the question is can we convince enough of them to give up their hard earned free time? In order for such a program to run it would need its own organization and it would unfortunately compete with the existing programs meaning new mentors would have to be found. Although it could be possible to expand existing programs it is unlikely that the existing programs could be merged into a new organization as mentorship opportunities are some of the key advantages of the Small Business Centre and Downtown Business Accelerator, and removing these opportunities could damage the effectiveness of these organizations. So we are left with a choice of either building off of the existing mentorship framework or risk cannibalizing a mentorship pool that already appears to shallow. There are already incentives for employers to hire new grads; employers who hire new apprentices can receive a $1,000 grant. The question becomes can we convince the Provincial or Federal government to expand the program beyond apprentices to other new grads, odds are it isn’t going to happen. No amount of incentives can convince a company to hire a history or psychology graduate when they aren’t trained in their field. Although youth unemployment is higher than traditional levels and older workers are working longer both translate into fewer openings for new grads there is little that can be done by government to fix this problem. Simply put if the broader job market is weak, companies won’t hire even if they are incentivized to do so. You are not going to bring on a new staff member for a few thousand dollars in grants when that person is going to cost tens of thousands of dollars in salary and benefits. 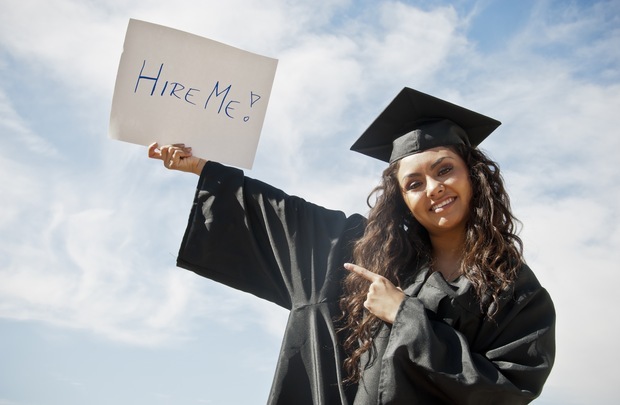 Part of the fault lies with young people, if you get educated in a high demand field there isn’t much need for employers to be incentivized to hire you. But with thousands of students graduating with a generalized Bachelor of Arts and few hard skills each year the competition for jobs is so fierce that it can appear hopeless, and the only way to get a job is if there is an incentive for a company to hire you. Fortunately, long term demographics (the baby boomers retiring) are in the favour of young people, there will eventually be jobs for them the question is can they hold onto the skills they need in the meantime. Part Two of this blog: youth priorities 10-6 will be posted this weekend so check back and let me know your thoughts on twitter or in the comments. ← Windsor 11.1% Unemployment… A Grim Hint of the Future?